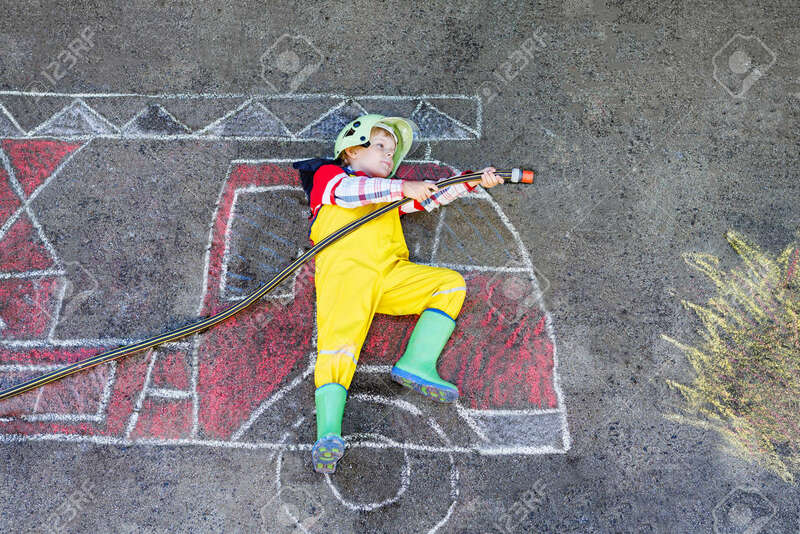 Creative Leisure For Kids: Little Kid Boy Of Four Years Having Fun With Fire Truck Picture Drawing With Chalk, Outdoors. Dreaming Of Future Profession. Royalty Free Fotografie A Reklamní Fotografie. Image 43074976. Reklamní fotografie - Creative leisure for kids: Little kid boy of four years having fun with fire truck picture drawing with chalk, outdoors. Dreaming of future profession. Creative leisure for kids: Little kid boy of four years having fun with fire truck picture drawing with chalk, outdoors. Dreaming of future profession.